Sunday Blessings! It's time for a new challenge at Sentimental Sundays. This week we challenge you to use Black, White and one more color. I chose to go with Pearlustre Carnelian Embossing Powder for my extra color. Supplies: God's Love Stamp Set by Our Daily Bread Designs; Whisper White and Basic Black CS; Pearlustre Carnelian Embossing Powder. 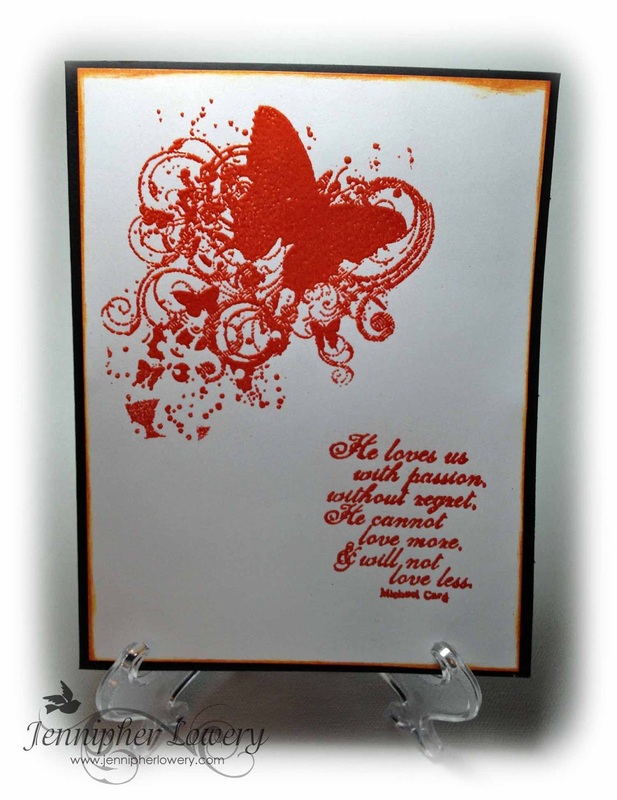 I would like to enter this card into the Shining Light Challenge @ Our Daily Bread Designs to use fall colors and a verse. Thanks for stopping by my blog today. Have a blessed week. That color pops and looks amazing. Hi Jennipher! 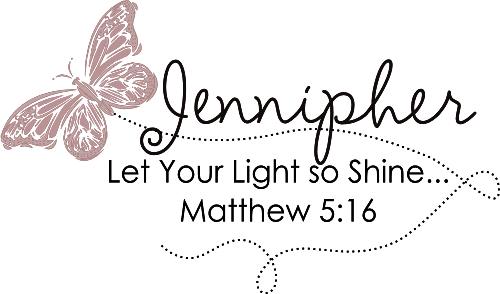 I love the new look of your blog and of course your beautiful card! Take care and God bless you! Gorgeous image and I love the bright color and emblossing! The Embossing is lovely, I love the card. This is stunning Jennipher!! I love the orange, black and white combo!! The embossing is perfect! That is such a beautiful sentiment! Thanks for joining the ODBD Shining the Light challenge this week!! Love how you used the embossing as both the image and the sentiment! Beautiful card! Amazing card Jennipher, stunning focal point! That embossing really looks great, and such a beautiful image and sentiment. Lovely!